ZANU PF National Youths Commissar, Godfrey Tsenengamu has urged the opposition Movement for Democratic Change to embrace President Emmerson Mnangagwa and help build Zimbabwe. In an interview with 263Chat in Harare yesterday, Tsenengamu called on the Nelson Chamisa led movement to play a part towards rebuilding Zimbabwe saying political affiliations should not be a barrier to national development. “My massage to the MDC, I am now challenging them that if you really want the country to move forward, here is an opportunity availed, come forward so that we work together. We want to see if you are builders or destroyers,” said Tsenengamu. 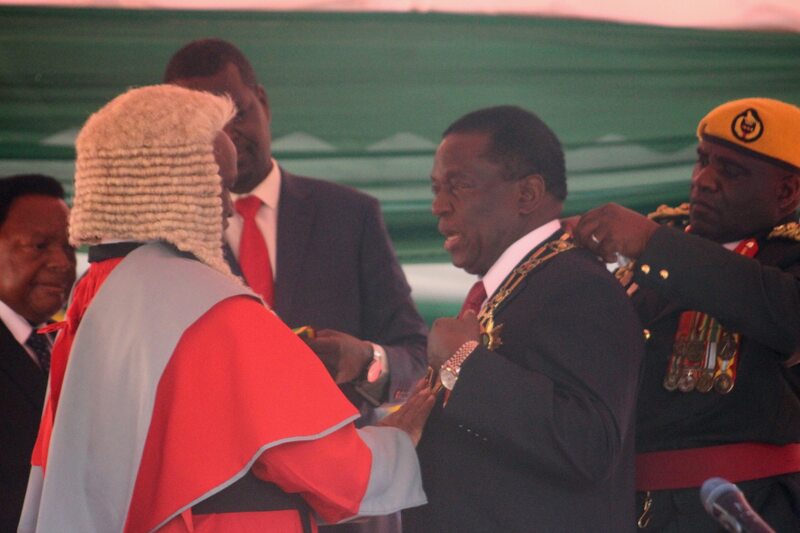 He heaped praise on Mnangagwa describing him as a listening President whose victory will open doors for youths to rise and positively change the country. “Now President Mnangagwa is in office, and as a listening president we know he will give attention to our pleas as youths. To the youths this our time to rise, let us unite and work together to rise,” said Tsenengamu urging young people to seize the opportunity to support the elected government and avoid bitterness. Meanwhile, the MDC Alliance is insisting that elections were rigged in favor of Mnangagwa and have threatened to take their fight to the African Commission for Human Rights.